The "Custom" line of ammunition from Hornady is built using the company's best components and build practices! 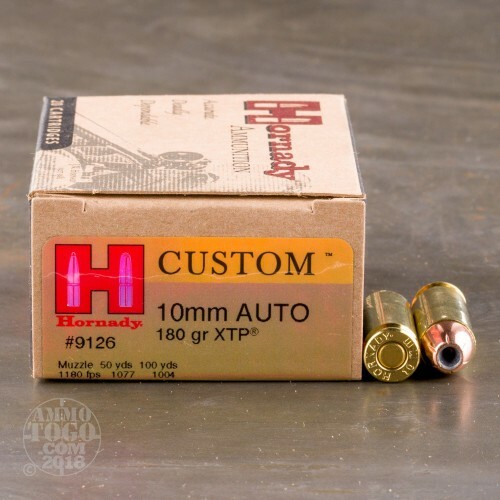 Each of these 10mm rounds is assembled using a reloadable brass casing fitted with a Boxer primer and filled with a precisely measured charge of Hornady's own propellant. 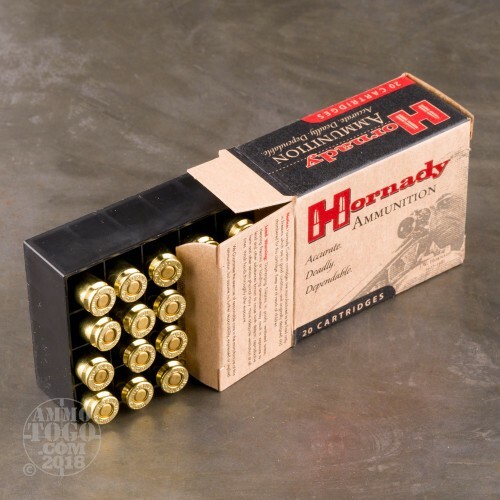 The cartridge is completed with one of Hornady's eXpanding Terminal Performance (XTP) projectiles which is a high grade jacketed hollow-point. The XTP bullet design features a lead core of uniform density, a deep-reaching hollow cavity, and a copper jacket with thin areas and divisions that are strategically placed around the cavity's mouth. These construction choices result in reliable expansion which is initiated upon impact with a target even at velocities that are less than ideal. 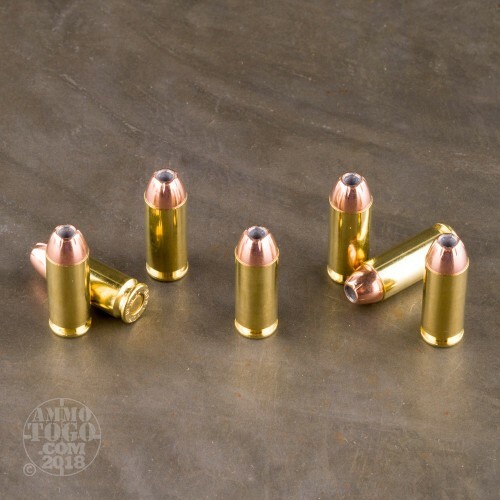 During entry into a threat or game animal, the 180 grain bullet will mushroom outwards without fragmenting and punch deep into vital organs where it deposits all of its momentum; this yields quicker drops while reducing the chance of over-penetration for safer, more effective shots. 180 grains is a standard weight for the 10mm Auto caliber and will match the relationship between aim and impact to which shooters are accustomed. Hornady's unique projectile designs are held in such high regard that they are often used by big brand names in the industry as a part of their finished products. The complete ammo that Hornady manufactures is an offering to shooters who don't reload but want to enjoy the same legendary quality. As you hunt for the best self-defense 10mm Auto ammo, we thought you might enjoy seeing the results of some testing we recently conducted with calibrated Clear Ballistics gelatin. We shot five of these Hornady Ammunition rounds through a four-layer cloth barrier using a Glock 29. The results are detailed in the video you see above as well as the photographs. 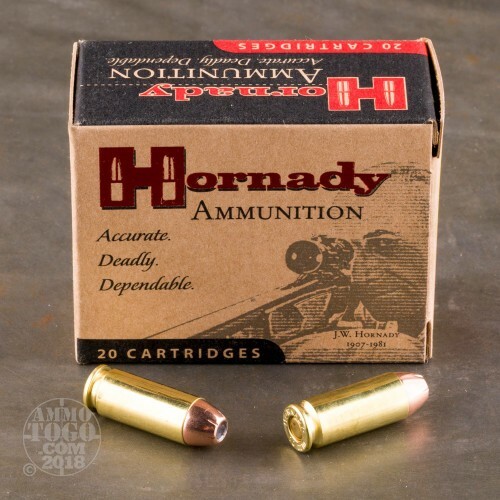 Through the charts, you should get a great idea how this Hornady Ammunition ammo stacked up relative to other 10mm Auto ammo products available to American shooters.